For the last 8-plus months, I have been living as an expat in Thailand. I have been living, breathing animal rights — particularly as it relates to Asian elephants — traveling and getting caught up in the same little things I got caught up in when I was living in Las Vegas. Namely, personal relationships. 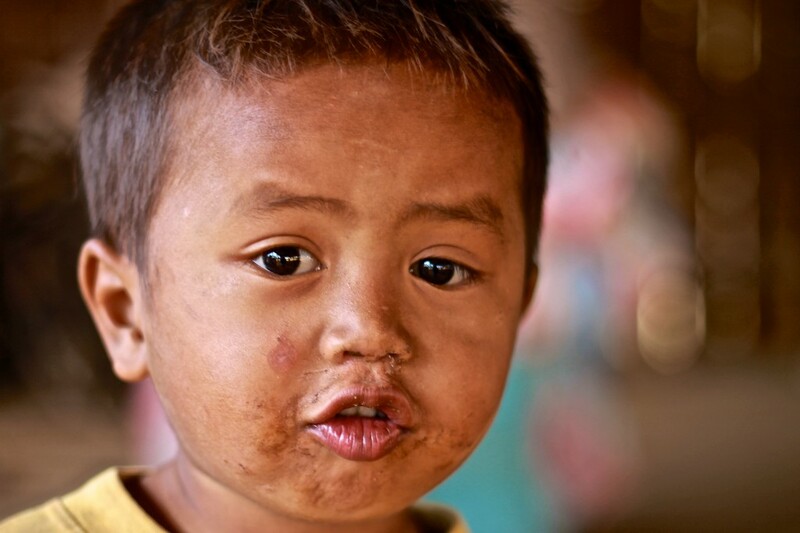 When words fail, how about a cute photo of a little Cambodian boy instead? This has caused a problem. I want to write. I want to tell you about Gary, the often-times charming older man who used to be my neighbor. I want to share my stories with you about Aaron and the cheeky conversations we have and the amazing support he has given me. I want to tell you about the time Paula and I sat at Ciccia’s House and downed a bottle of Sangsom and our revelations about our lives. I want to dish about the crushes I’ve had. The people who were in my life and left — and the reasons why. And more. But, my problem is I can’t. The biggest one is my loyalty to my relationships with these people. Where does it cross the line between writer/blogger and violating the trust/friendships/non-friendships of people? How can I express my feelings I had for someone who may or may not read this without exposing myself when I don’t want to be exposed? The people in my life are extremely valuable and I don’t want to lose the trust we have with each other by sharing my stories here. 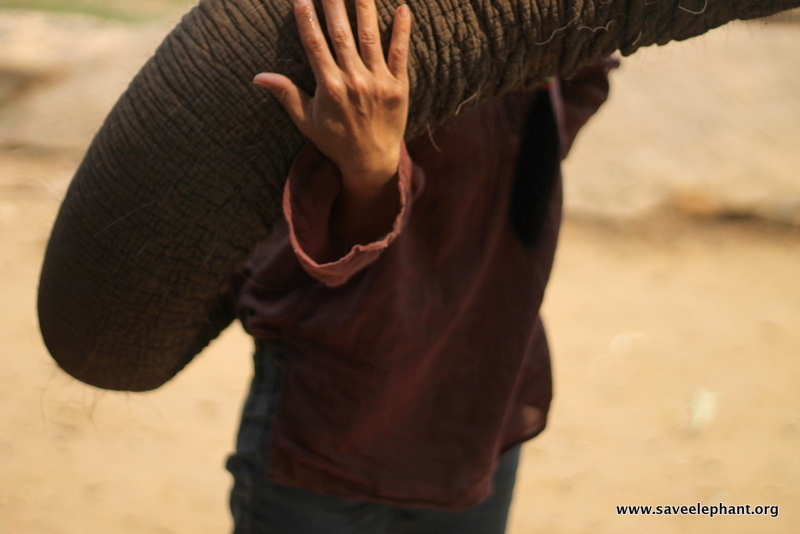 A beautiful relationship I can write about — Lek Chailert and her elephants. What happens at the end of the day, when I’m living my life and the words I want to share can no longer be shared? It’s the reason I’ve been quiet on here … I’ve been pondering where I go … what I do with my writing as my life here becomes more permanent. Then, there is the issue of time. I want a life here. I try to have a life here. When I lived in Las Vegas, I was able to balance work, writing and a social life. Here, it is a bit different. The lifestyle here is what Thai’s refer to as mai pen rai, no worries. It’s so easy to just be walking home from work and get roped into a chat at the local watering hole, grab a beer and get sucked in. And, in the past few months, I’ve actually developed a social circle, which has been wonderful for me, not so wonderful for d travels ’round. Sure, there are things I plan on writing about. Photo essays I know I will share. Little juicy morsels of life here … just different from the way it used to be. Oh, and plus, I have this nasty case of writer’s block. And I need to edit my book (which will be out sooner than later, I hope). I hope you’re OK with that. I hope you still support me. And, I hope my stories can still provide you with what it is you are looking for when you visit here. You CAN write! You just did! There are so many things we would be interested in, other than your relationships you don’t feel comfortable writing about. What is it like to live there, deeply live there? What about your relationship with each elephant? Is it different? Find that small juicy morsel of detail and make it a story. We are interested! Thank you for the suggestions! I appreciate it! I went through the same thing when I was an expat, and even now, that I am based in St. Louis. You just have to find a balance between privacy/friendships and your blog. You have plenty of other things to write about, so don’t worry about running out of things to say! Aww, love you, too! Thank you, babe!